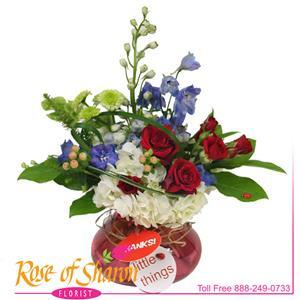 "Little Things" mean a lot - express your thanks for a kindness shown with our exclusive Little Things Bouquet. Each hand-crafted bouquet of vibrant, fresh flowers arranged in a sculpted glass vase is finished with our "Thanks!" tag complete with its own Lady Bug.